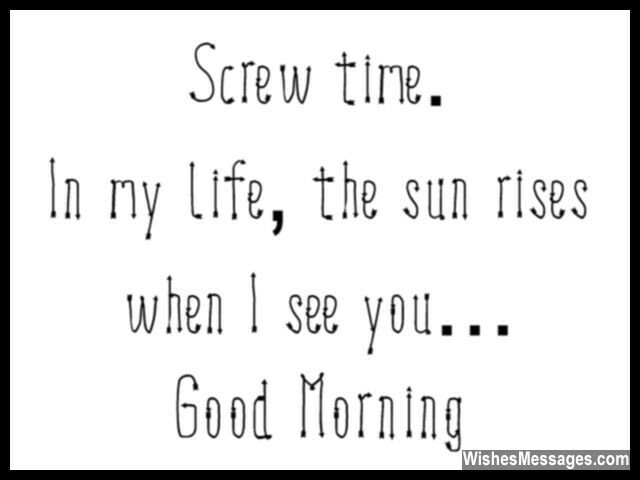 Good Morning Messages for Husband: Don’t let the monotony of routine life sink your marriage into the sea of boredom. Spice up every day by greeting your hubby with long hugs, quotes about love and dreamy kisses. Write a cute note and hide it in his pockets. Send him sweet texts when he’s at work. Flirt with him by sharing flirty pins on Pinterest and tagging him on mushy posts on Facebook. While all this might sound a bit cheesy, the fact is that it will turn back time and push you into the puppy love zone all over again. Don’t just sit there and watch life go by. Give your relationship a chance to be what you’ve always wanted it to be – fun, romantic, beautiful and awesome. Let every day become a memory that makes the foundation of your wedding stronger. 1) Other people wake up to sunshine but I wake up to YOU. Good morning. 2) You are the only person in front of whom I can be ME, because you are the only person who loves me for what I am and not what I can BE. Good morning. 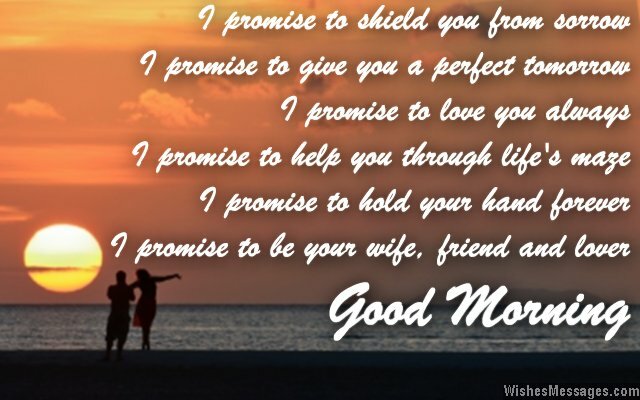 3) By your side and in your arms – this is the best way to wake up every morning. Good morning. 4) Every day gives us a chance to add yet another beautiful couplet in the romantic poem of our lives. Good morning. 5) You are charming, handsome and hot, but those are not the only reason I love you a lot. You make me laugh and smile, which makes everything in life feel worthwhile. Good morning. 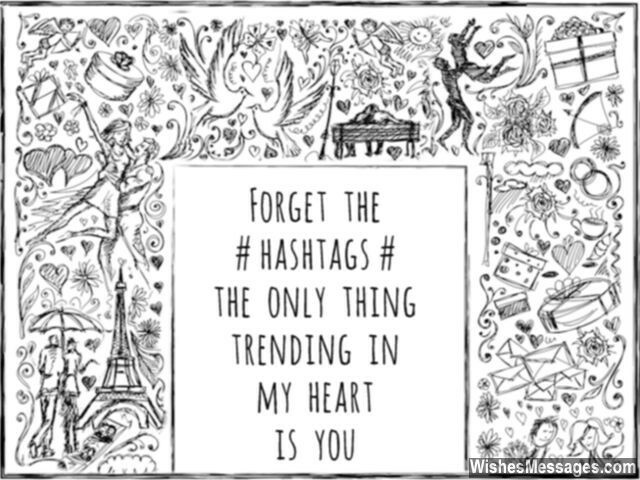 6) Forget the hashtags, the only thing trending in my heart is YOU. Good morning. 7) In a world full of deceit and lies, I feel lucky when see the love in your eyes. Good morning. 8) Your kisses make my heart beat, your hugs help me feel and your love energizes my soul. Good morning. 9) I can do without a morning cup of tea or coffee, but not without cuddling with my handsome hubby. Good morning. 10) Happiness is just one part of our journey, as husband and wife. Unconditional love and undying commitment, is what makes ours a perfect married life. Good morning. 11) Screw time. 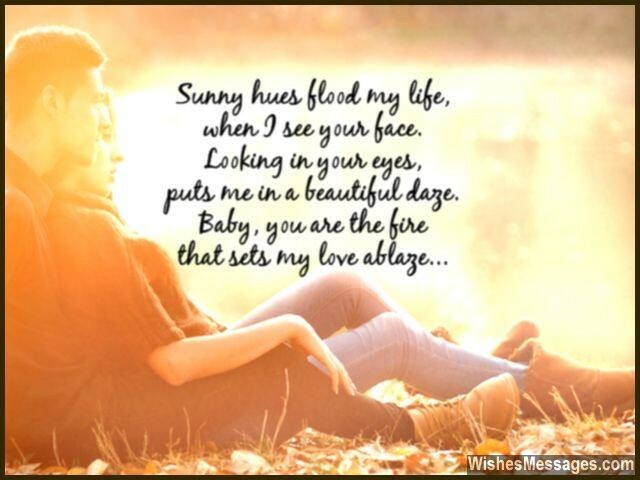 In my life, the rises when I see you. Good morning. 12) You are the happy in my sad, together in my lonely and smiles in my tears. Not just now, but forever. Good morning. 13) If I had the chance to life my life again, I wouldn’t want to change a single thing. Even rough times have left sweet memories, because I’ve gone through them with you. Good morning. 14) Since the day you became mine, my day starts with a sweet melody that rings in my heart and reverberates in my soul. Good morning. 15) Our love is like a snooze button – I start dreaming again the moment I think about it. Good morning. 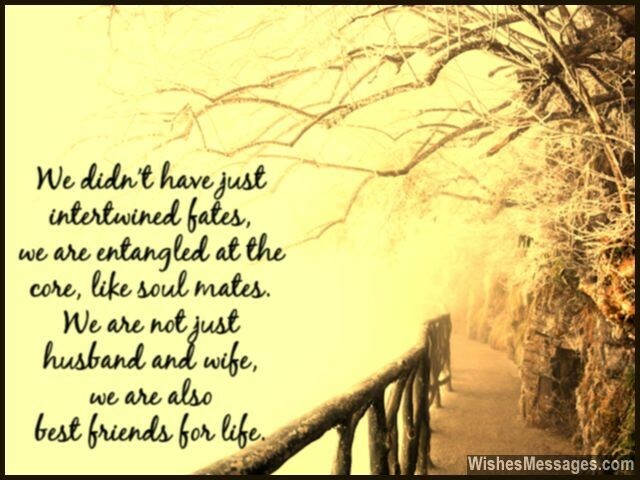 16) We didn’t have just intertwined fates, we are entangled at the core like soul mates. We are not just husband and wife, we are also best friends for life. Good morning. 17) Ever since the day we’ve been together, you have reminded me to do something that I had completely forgotten to do – laugh and smile. Good morning. 18) Every morning I am bitten by the love bug and fall sick. The only way to make me feel better is with lots of hugs and kisses from you. Good morning. 19) If I had a time machine, I would pause my life right here and right now. Because life with you is as perfect as it can ever get. Good morning. 20) In the horizon of my life, you are the sunrise that fills my life with happy hues of orange and yellow. Good morning. 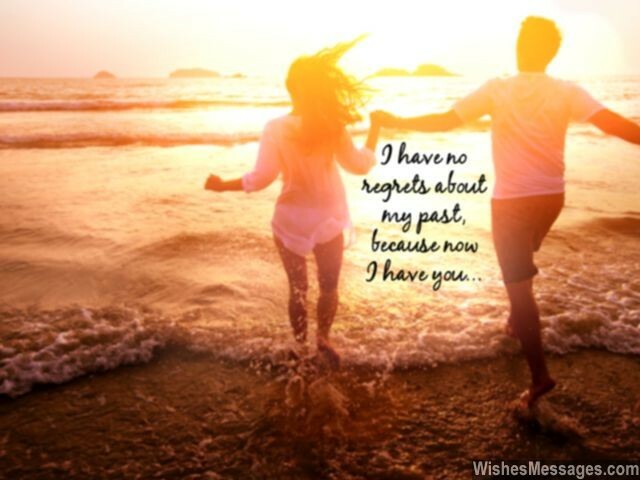 21) I have no regrets about my past, because now I have you. Good morning. 22) Just because I love you and you love me, I am as lucky as I could ever be. Good morning. 23) My morning coffee is useless if I don’t have it while looking at the most handsome man in the whole world – YOU. Good morning. 25) I was never a morning person until I started waking up next to the love of my life, my husband. Good morning. 27) The rays of the morning sun may fill the lives of others, but my life is filled by the warmth of your love. Good morning. 28) Anything is possible, miracles can happen, sparks can fly – as long as I don’t run out of your love’s supply. Good morning. 29) Being with you makes mundane routines seem exciting. Good morning. 30) Your hugs are the key to a secret safe where I store all my happy memories. Good morning. 31) I promise to shield you from sorrow, I promise to give you a perfect tomorrow. I promise to love you always, I promise to help you through life’s maze. I promise to hold your hand forever, I promise to be your wife, friend and lover. Good morning. 32) Which magic potions do you secretly brew at night to make every morning so perfect? Good morning. 33) There are no guarantees in life except one – my love for you and your love for me. Good morning. 34) In the morning, some people like to indulge in their coffee, while others like their tea. I like to indulge in my hubby, who is the most handsome thing my eyes can see. Good morning. 35) I love you because you help me turn a blind eye to my past, and open my eyes to a better future. Good morning. 36) Every morning I love wearing my favorite thing – the smile I have since the day we got married. Good morning. 37) I don’t care if is morning or evening – because with you around, my life is a true blessing. Good morning. 38) The sun may reach its zenith in the day and descend in the evening, but my love for you will always be constant and everlasting. Good morning. 39) The best part about my life is that I get to wake up to the sight of the man of my dreams. Good morning. 40) Like coffee with cream and pancakes with syrup, your hugs and cuddles give my mornings the perfect start. Good morning.